Museums are great assets of a nation. These colossal buildings houses many antique specimens related to the heritage of the country and serve as the centre of learning. One such noteworthy museums in India is Chennai Government museum. Government museum in Chennai is an abode of surplus artifacts that are testimonies to many incredible creations of our ancestors. This museum is thronged by tourists all - round the year from various parts of the world. There are numerous departments in Chennai museum including Archaeology Department, Art Department, Anthropology Department, Numismatics, Zoology and Chemical. This museum also contains very rare frescos and paintings of great artists. Anthropologists will find this museum a paradise, as it contains numerous antiques and relics. Every nook of this museum has something interesting. The most peculiar thing in Chennai museum is the unique wood carvings, metal ware, embossed works and bronze figurines, which belongs to various era. Paintings that adore the walls of this museum needs a special mention. Paintings of historical events related to Rajput, Moghul, Tanjore, Kangra and Deccan Schools are displayed here. The stylish graphical drawings on Tamil epic works are truly amazing. The visitors are taken back to the Stone Age as they enter in to the department of Anthropology, which displays pre historic artifacts like copper, iron and bronze of Palaeolithic Age and Neolithic Age. Another fascinating part of this museum is the array of coins in display. This is one of the museum that has large number of coin collections. Coins from many kingdoms and rulers are been displayed and help us to know more about the political scenario in those period. Be it human skeleton or integuments, Chennai Government museum has specimens of everything related to zoology. Hundreds of plants from ancient times to present time are been fossilised and displayed at Government museum of Chennai. Chennai government museum is a must to visit place at Chennai. This museum is open to the public on all days except on Fridays from 9.30 am to 5 pm. 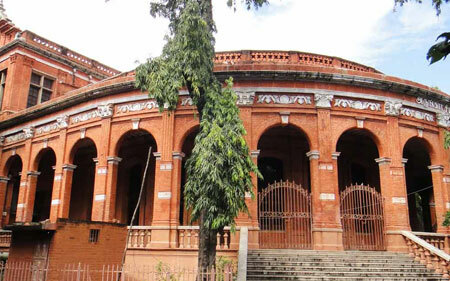 Government museum is located at Egmore, Chennai. There are lots of busses and local trains that ply to and fro to Egmore from all parts of Chennai.